> PPC > How will Google’s new ‘Ad’ label impact marketers? So why has Google made the change now, what impact will it have have, and will users even notice the change? So why make the change at all? Add in the growth of ad blockers, intensifying competition in the search industry (with both Facebook and Pinterest upping their efforts), and the constant pressure on Google to grow its revenues, and the reasons for moving to a less noticeable ‘Ad’ label become apparent. We should also beware the source of this information. Google may say it has had no impact in testing, but that seems a convenient line for a company that is close to obsessive in its desire to attract more paid clicks through attention to the minutiae. Google is famed – sometimes ridiculed – for this constant tinkering, but it does work. Their highly-publicized ‘50 shades of blue’ experiment was seen by some as a step too far, but Marissa Meyer made sure to state that it drove an extra $200m in ad revenue. Even at a company of Google’s size, those figures talk. 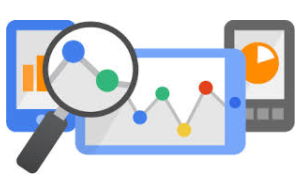 One assumption at the heart of Google’s latest update is that users simply want to get to the result that answers their query, whether a brand has paid for their click or not. Giving more space to paid placements and a never-ending stream of new products to make these ads more attractive undoubtedly gives prominence to sponsored listings. But, the counter-argument goes, people prefer organic listings. They know an ad when they see it and will go out of their way to avoid it. However, one of the reasons this has held sway in the past is that paid search landing pages have at times been of lower quality or of lesser relevance to the query than organic listings. Brands are willing to pay their way to the top, while that right has to be earned in SEO. The quality of the search results in each camp reflected this. Which brings us to the growing impact of content marketing and user experience signals in SEO. These factors are essential for any successful SEO strategy and they touch all aspects of a brand’s digital footprint – including paid search. All that effort site owners have put into creating ‘great content’ to improve their SEO rankings plays directly into the hands of AdWords. If Google can convince brands that the best way to get this new content in front of people is to pay for that right, they will do so. The same great content ends up in front of consumers, so everyone wins. Brands still get the traffic (at a higher price), users get the result they want, and Google makes more money. Someone has to lose, though, and SEO traffic seems most likely to assume this position. A diminished SEO landscape would be to the detriment of user experience, though, and no monopoly (even one as seemingly immovable as Google) has a divine right to market ownership. Higher CTR for paid listings will have to go hand-in-hand with a better user experience if this pitfall is to be avoided. If the quality of results starts to dip, alternative search engines do exist. Another argument is that perhaps the role of paid search is starting to change. The AdWords business model is beautifully crafted for a direct response strategy, but it has its limits when it comes to brand marketing. As brand budgets start to move into the digital space, it would make sense to have a less obvious ‘Ad’ label if Google wants to encourage advertisers to spend this budget on AdWords. As always, there is much room for speculation, even if the central thrust behind this move seems to be an intended increase in paid search revenues. One thing is for sure, though: we will be keeping a very close eye on CTR for both paid and organic listings over the upcoming days and weeks to see how this plays out.